Hydrating serums seem to have become a non-negotiable part of my skincare routine. I like the intense hit of moisture that they provide, I like that they are (almost always) lightweight and fresh feeling and quick to apply, I like that they can plump and smooth the skin without leaving any residue and I like that they can be slipped on before pretty much any face cream or standalone SPF. I’ve tested dozens of hydrating serums now, and I wanted to start writing up my reviews before I lose track of which ones work best. I think I’ve already written about quite a few, including the very affordable one from First Aid Beauty* and the great value mini-vials of Hyaluron-Filler Concentrate from Eucerin*, but the latest serum I’ve used to the very last drop is the Super Aqua-Serum from Guerlain. This is – unusually – an incredibly rich serum. You know how I just said that hydrating serums were lightweight and fresh feeling? This one doesn’t fit that description at all – it has a satisfying heaviness to it and even without a moisturiser layered in top I can feel the moisturising effects eight, ten, even twelve hours after application. I have tested this serum to the nth degree – on its own, beneath loads of different face creams, straight under foundation, as a night treatment – and it works perfectly whichever way you decide to use it. Properly plumped skin, and although there’s more of a residue than you’d get with one of those weightless, watery serums, it’s not greasy or shiny. 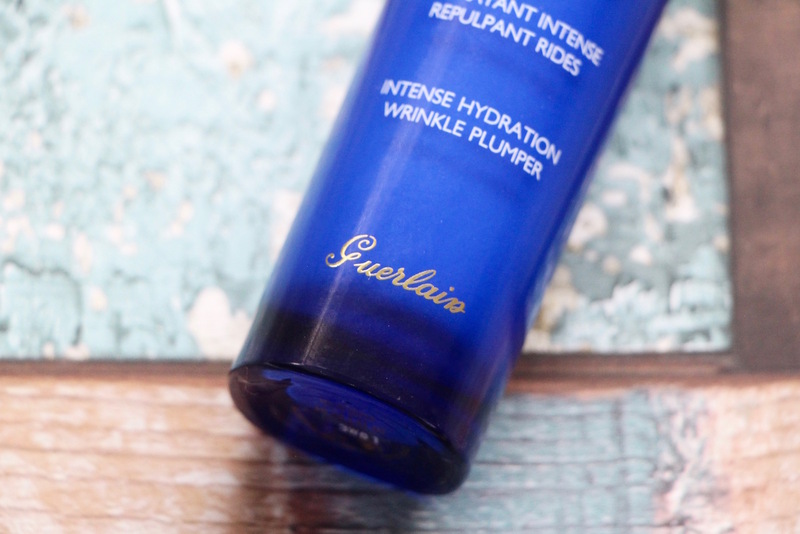 On the front of the bottle, two statements: “Intense Hydration” and “Wrinkle Plumper”. Maybe that’s one statement over two different lines of text, I don’t know. Either way it delivers on both of these fronts, to the point that my skin is still looking pretty sweet at the end of a long day, today, and all I have on is Super Aqua-Serum. No moisturiser, because I had to chase Angelica who had the remote control for the Apple TV and was about to drop it into the toilet. Then life took over and I forgot to do the rest of my routine. So if you’re looking for a very hydrating serum to pop on underneath a tinted moisturiser or BB Cream and don’t want to layer on a standalone moisturiser too, this is a good one. I test so many serums and very few of them still feel this dewy to the touch after a fourteen hour day. My only complaint? That the Super Aqua-Serum (note that this is the original version, a white creamy serum, not the “light” one) doesn’t smell of Parma Violets like much of Guerlain’s other skincare. I know we’re not supposed to want scent in our skincare, blah blah naughty naughty, but Guerlain’s stuff usually smells utterly divine. Usually. This one doesn’t really smell of much, but what it does smell of isn’t particularly lovely. When I was pregnant the smell reminded me of Veet, now my nose has calmed down it just smells nothingy. But I’d love a dose of Parma Violets in there! 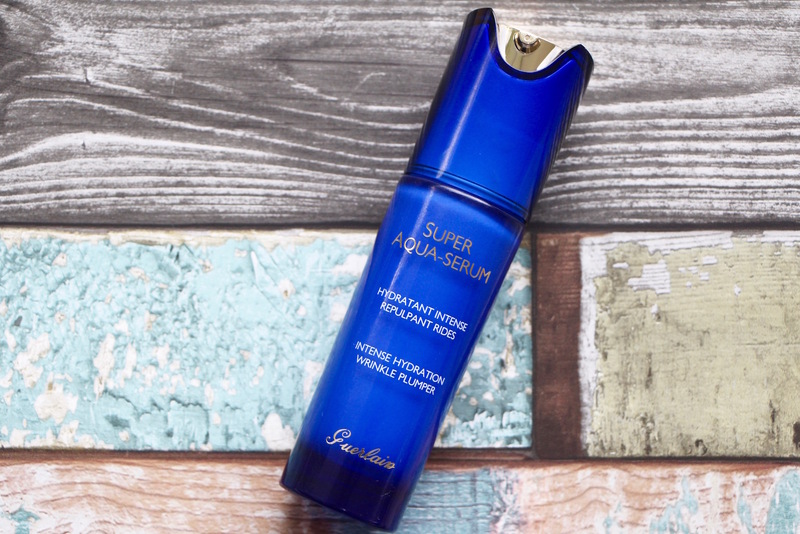 The Super Aqua-Serum RRP is £79, but it’s slightly less at Escentual here* – £71.90. And I’ve just realised that my love for this serum is not that surprising, as I have tried the eye patches before and can categorically tell you that they are right up there with the most effective ones on the market. Pricey as hell, but – at the risk of repeating myself – it’s luxury. It’s Guerlain. Etc.